Beaver Scouts are young people usually aged between six and eight years old. They belong to the first and youngest Section in the Scouting family. 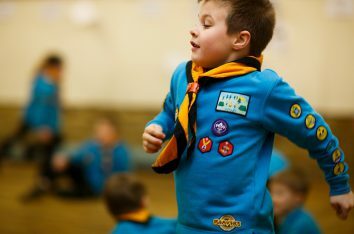 Young people can join Beaver Scouts in the three months leading up to their sixth birthday, and they can move to the next Section, Cub Scouts, between eight and eight years six months. We can add names to the Beaver’s waiting list for young people of 5 or over. 99th Reading Beaver Colony is large and active- lots of really fun activities. Meetings are at 5:45 – 7:00 on Thursdays. Beavers are easily recognisable by the distinctive turquoise jumpers that they wear. They enjoy making friends, playing games, going on visits, and helping others. For more information on Beaver Scouts, please click here.